If at any time you are not satisfied with your caregiver, call us and we can make new arrangements for you. Coming to terms with the need for home care can be difficult and hard to deal with. Choosing the right caregiver for your loved one is even harder. Rest assured that when you choose Compassionate Care at Home, your loved one is always in loving and qualified hands. We want all of our clients to get the assistance they need while maintaining their own independence in the comfort of their own home. 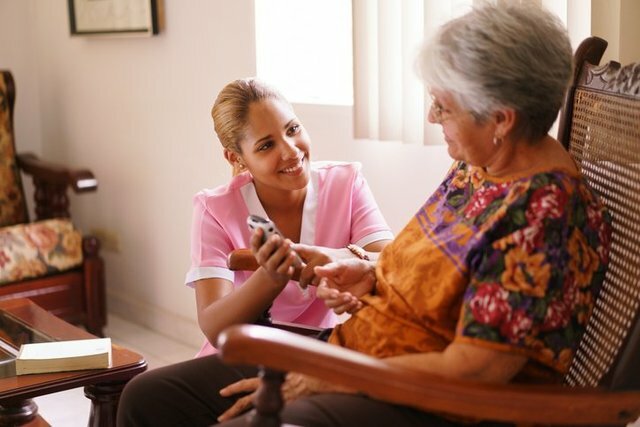 A live-in home care service allows you to relax and feel great about your elderly loved one being in capable hands while you work, run errands, and get back to life. All our nurses will be happy to answer your questions or find solutions to your concerns whenever you need them. Plus, you will always know what’s happening with our regularly updated system, ensuring that all responsibilities are carried out. Do they specialize in a specific area? What is respite, hospice, short-term, and long-term care? How will the caregiver transport my loved one? What if we want to change caregivers? We are happy to answer any and all of your questions! Call today.